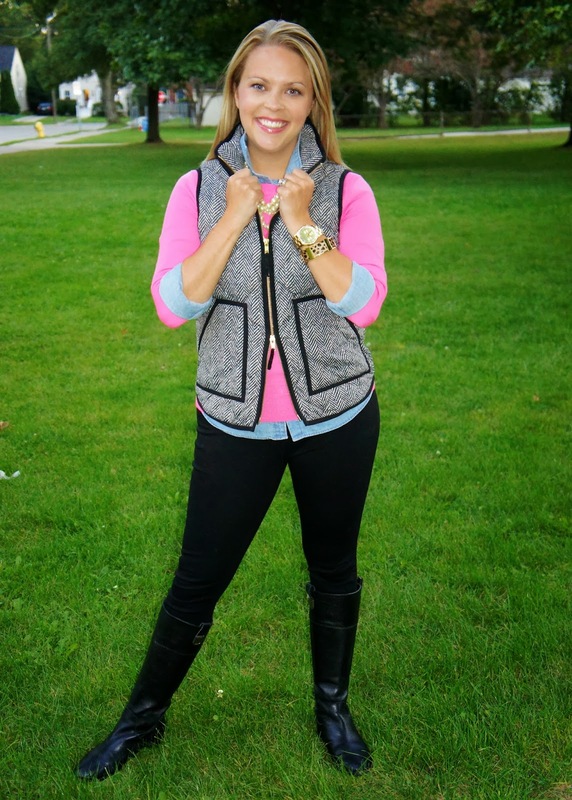 If you are on Instagram, you are probably in the loop... Today is National Herringbone Vest Day! Okay, so maybe it's not an "official" day, but we've declared it so on Instagram! I have had my calendar marked for almost two months now. 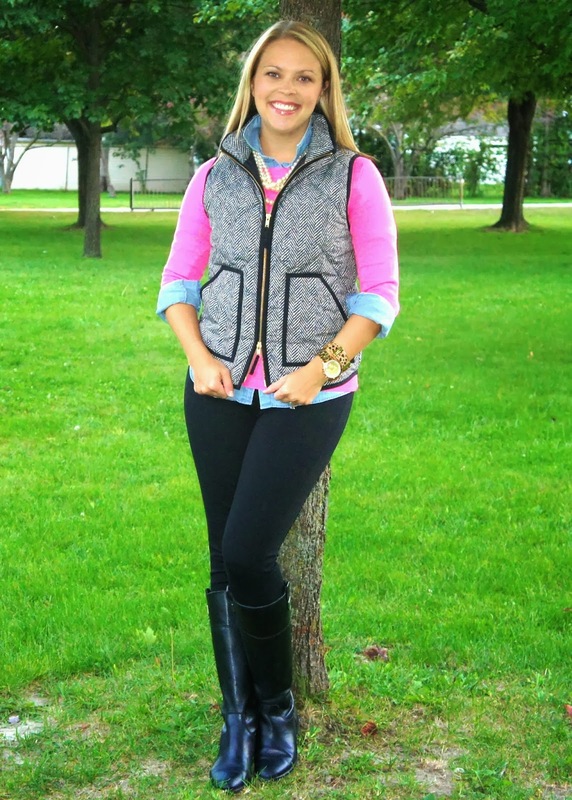 For two months, we've all been waiting to debut this coveted vest on our blogs and our Instagram pages. A little much, you say? Maybe. But, you have to admit it is also a little fun. 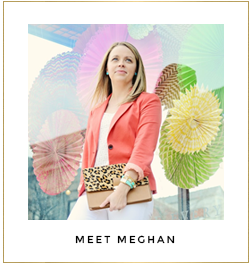 I am excited to check the #nationalherringbonevest tag on Instagram and see how all of my fashionista pals have styled it! This time around I opted to style it with a neon pink sweater, chambray and pearls. Even though I am loving all of the rich fall hues, pink is one of my favorite colors to wear, and I definitely think it can be transitioned into fall and winter. Trust me, there are so many ways I have thought of styling this vest. You can expect to see me wear it with burgundy, camel/tan, plaid, red, green and classic black and white. I am sure you will see it on repeat here on the blog or on Instagram. 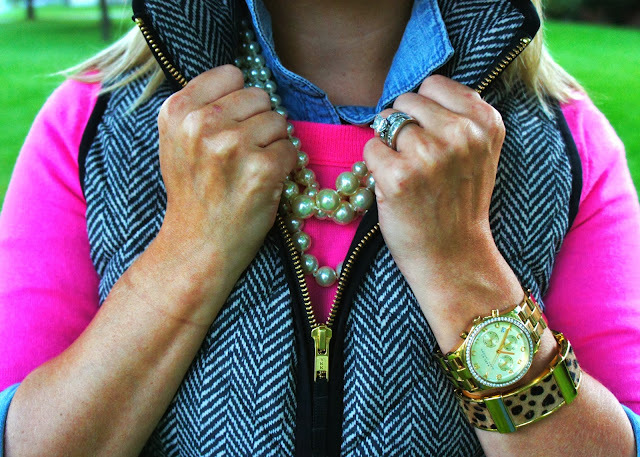 I love the how the pink pops against the herringbone pattern of the vest, and the pearls add a feminine touch. Chambray and J.Crew Pixie Pants are pretty much my weekend wardrobe during the fall. Sometimes the weekends are just all about the comfort level! A pop of leopard is always a must! Anything leopard is definitely a fall staple. 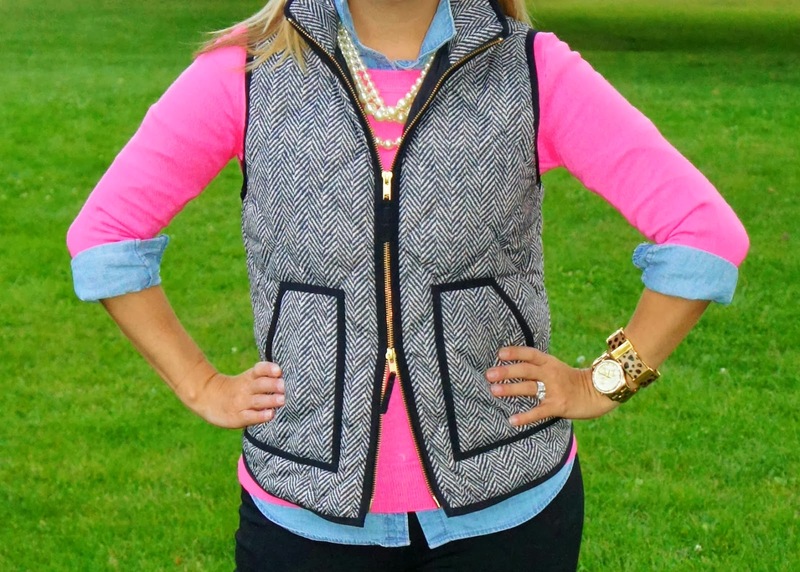 If you haven't found the J.Crew Factory vest in stores, there are plenty listed on eBay and Poshmark; however, they are going for far more than the retail price! I've rounded up some great options below that will achieve a similar look. You may have already seen the $15 look-a-like from Walmart (yes, Walmart) floating around on Instagram! 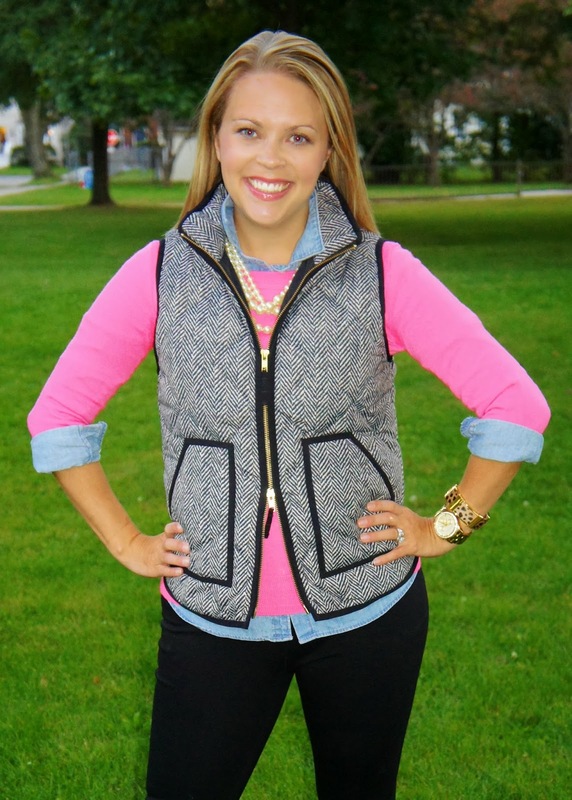 Are you participating in National Herringbone Vest Day? Tag me on Instagram or share your post below - I'd love to see your looks! If not, how would you style the vest?